People often hold off seeing health professionals until things are really, really bad. They think “Oh, I’ll just see if I can cope a little longer on my own”. 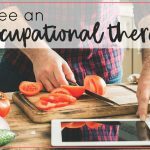 When it comes to Occupational Therapy, we can play a role in your healthcare from pre-diagnosis, through diagnosis, adjustment and long-term planning. 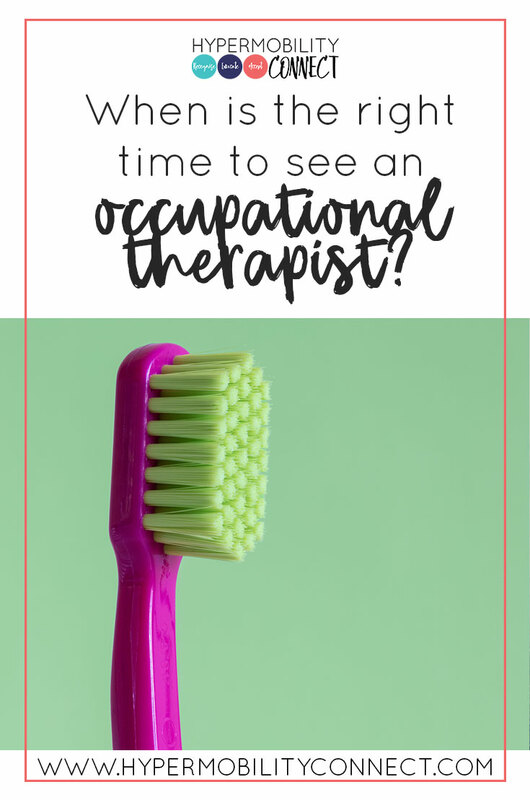 So when is the right time to see an occupational therapist? Our role is to help you work towards your goals at every stage of the journey you’re on. 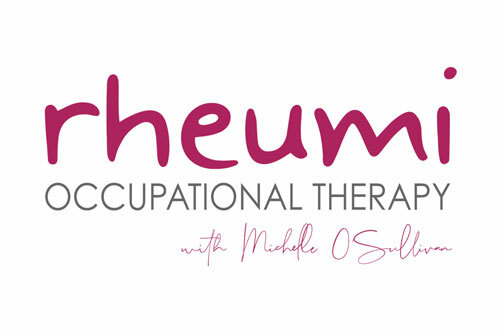 You don’t need a diagnosis of anything to seek the help of an occupational therapist, and you don’t need a referral from your GP* If you’re having trouble completing tasks in your everyday life, your activities of daily living, then it’s time to engage the help of an OT. Occupational therapy doesn’t have to be only about addressing problems either; it can also be preventative. A lot of the work I do with people living with hypermobility is preventative. It’s about keeping the body working as well as it can for as long as it can and to keep you functioning in your roles as effectively as you can for as long as you want. They always say ‘prevention is better than a cure’ when talking about health, and while you might already be facing some health challenges, that adage still applies. We seek to prevent problems from happening before they occur, where possible. For examples, falls, dislocations, increase in pain & fatigue. We aim to prevent things worsening, and help you to manage your condition the best you can. So when’s the right time to engage an OT? Probably NOW if you’re living with a hypermobility condition and you haven’t already seen one. You may also want to see an OT when things change for you, perhaps pain or fatigue worsens, you have surgery, your function starts declining. 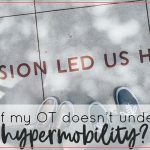 If you’re no longer able to do the things you were able to do, want to do, or need to do, then an OT is likely to be able to help. There is no reason to wait. We want to set you up with effective management strategies now. They can be tweaked and changed along the way if things change, or symptoms progress, but waiting until things are really bad means missed opportunities for prevention. *In Australia, you don’t need a referral from your GP to see an occupational therapist. However, if you have a chronic health condition and require the input of multiple health professionals, you are may be eligible to access 5 medicare rebated allied health sessions through the Chronic Disease Management plan (previously called Enhanced Primary Care [EPC] plan). You need to talk to your GP about this. Alternatively, if you have private health insurance extras cover, you may be able to claim a rebate for sessions.